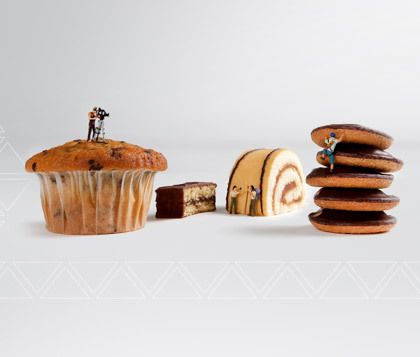 Popular alternatives to conventional biscuits are mini rolls, Swiss rolls, layer cakes, muffins, or cup cakes in all sizes and variations. For such products, the preparation of light and aerated dough plays an important role. 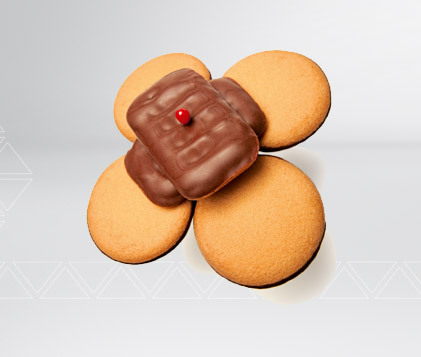 Our company has the required biscuit and aeration technologies and combines them ideally. Light and aerated batters are the basis for sponge products such as Swiss rolls or layer cakes, cup cakes and Jaffa cakes. Our company covers these process steps with plants from Haas-Meincke and Haas-Mondomix. Discover the alternatives to conventional biscuit products! 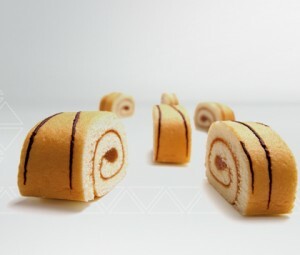 Mini Swiss rolls, family Swiss rolls or layer cakes in all sizes and variations are popular alternatives to conventional biscuits. For such products the preparation and processing of light and aerated batter, that is the combination of biscuit and aeration technologies, plays an important role. Our company has both technologies and combines them ideally in one process. After baking, the sponge cake band is moved to a so called make-up table, where it is cut longitudinally. The individual cake strips are covered with jam and cream. In case of layer cake production the cake strips are fed to an overlapping unit, in case of Swiss roll production to a rolling machine where the cake strip is shaped to a Swiss roll. A transversal cutter then divides the strips into products of the desired length. By attaching several rolling devices, Swiss roll products with different dimensions can also be produced on one line. 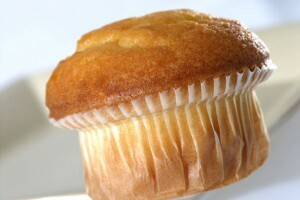 Cup cakes and muffins are small, sweet cakes which are baked in paper cups. Haas-Meincke in cooperation with Haas-Mondomix offers the complete production process for these products.Similarly to Swiss rolls, a light, airy batter is processed which requires both aeration and baking technology to be used in one line. The batter is filled into paper cups, which had previously been placed into transport trays. These trays go into the oven and the cup cakes are baked. After cooling, the products are removed from the transport trays. The trays are then cleaned and used again in the production process. It is also possible to fill the cup cakes with cream or jam after cooling. Popular alternatives to conventional biscuits are cake products like sponge cakes, cup cakes and also jaffa cakes. For jaffa cakes the preparation and processing of light and airy batter, that is the combination of biscuit and aeration technologies, plays an important role. Our companies Haas-Meincke and Haas-Mondomix offer both technologies and combine them ideally in one process. Haas-Mondomix is the specialist for mixing and aeration technology, Haas-Meincke contributes its baking technology.